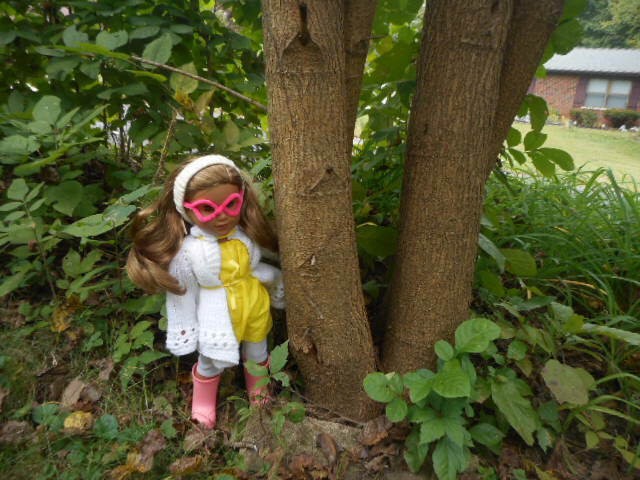 For Easter I dressed up all my dolls in nice, springy outfits and took them outside for a photo shoot. I did a group picture, but also single pictures of each doll. I am going to use these as profile pictures because the place where I used to take profile pictures no longer exists. This was really fun to take. 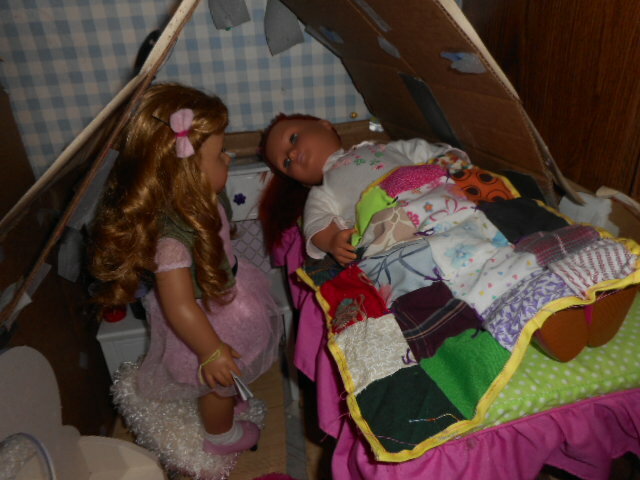 I had to arrange all fifteen dolls. (Count them!) 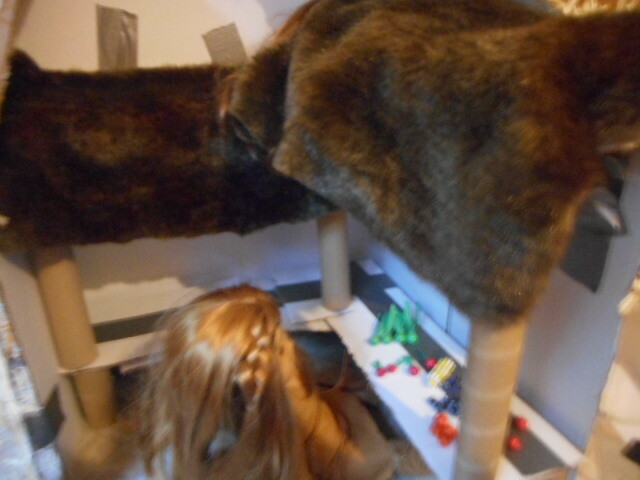 Most of the dolls are positioned well. A couple of them I don’t like so much, such as Gabi, Jenny, and Faith. Overall though, I really like this picture. I really like this picture. Mckenna’s hair is frizzy, and I didn’t have a good pair of shoes for this outfit that no one else was wearing, but whatever. Who needs shoes? The matching hair bow with aquamarine lace wrapped around it. I like this one too. The outfit looks good on Abby, but come to think of it, she would never wear something that frilly. Headband from American Girl Grace’s opening night outfit. I like how the tall grass and flowers cast shadows on Riley. Katelyn isn’t looking at the camera. Argh! And her hair is messy. 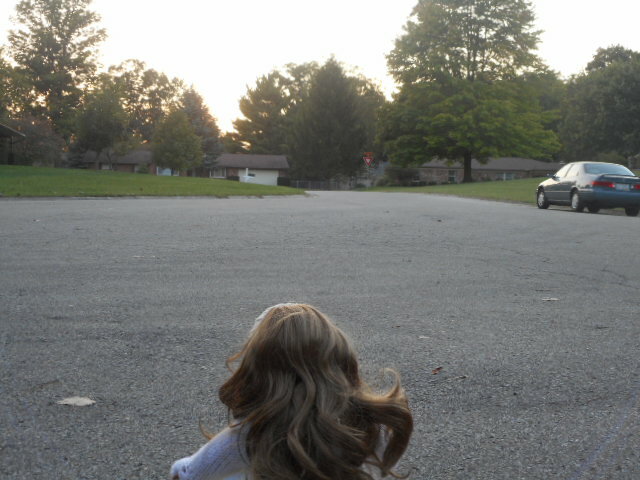 Oh, I love this picture of Grace. Even though the shoes never made it on her. 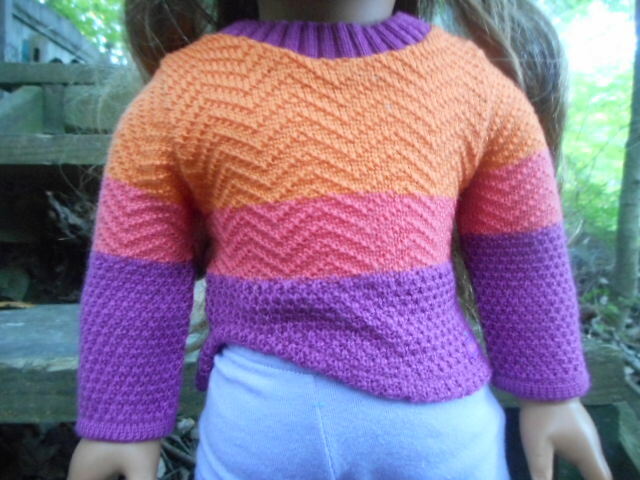 American Girl Isabelle’s purple Wrap sweater. Argh! This one’s kind of blurry. Joy looks so adorable in that dress. Our Generation Joy’s meet shoes. Maria isn’t looking at the camera, but I like this one. The shoes that Journey Girl Callie was wearing when we found her. Not one of my favorites, but it’s okay. Our Generation Parker’s meet shoes. I absolutely love this one. It fit’s Eileen’s personalty so well. And she’s holding a dandelion. I don’t really like this picture, but it fits Lea’s personality. 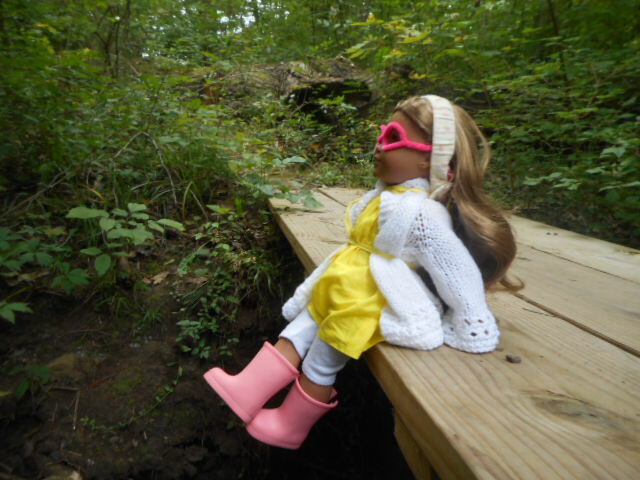 American Girl Merry Magenta headband. I really like the outfit that Mia is wearing. An ice skate charm on a piece of ribbon. I like this picture. If only Gabi was sitting up more. 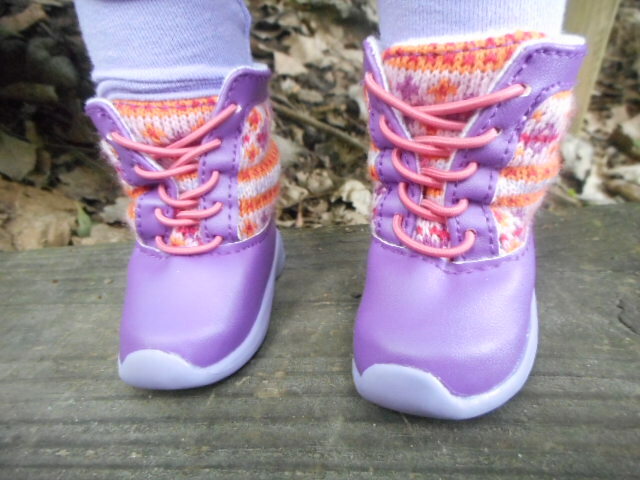 American Girl boots from Soft As Snow outfit. Callie is so fun to pose! This picture was fun to take. Shoes from Our Generation tworiffic twin set. Argh! Jenny’s hair is so frizzy. So there you have it. This year’s Easter photo shoot. I hope you enjoyed. That next morning I could barely pull myself out of bed so I didn’t bother. It wasn’t like anyone wanted me there anyway. 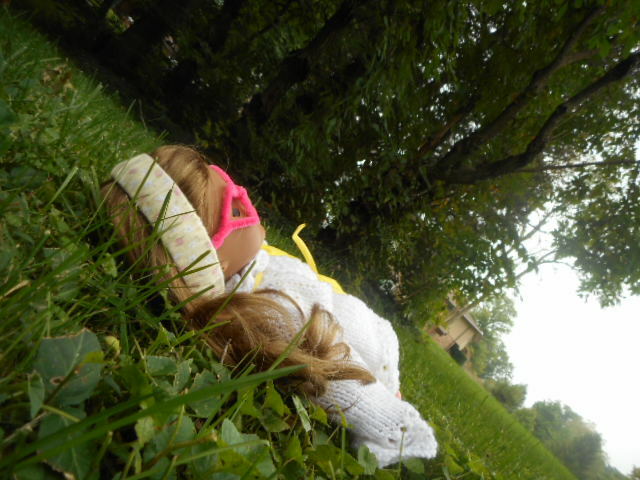 I would have asked Savana to take a note up to the office, but she had already left so I just went back to sleep. A couple minutes after the bell rang I heard a knock on my door. “Can I come in?” It was Ellen. 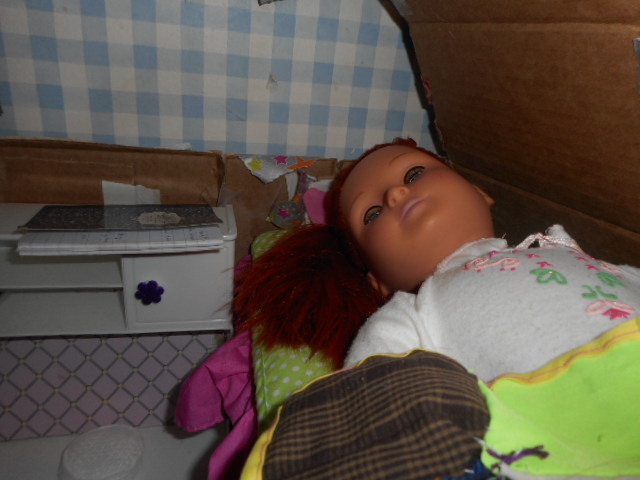 I walked past the room (Isabel’s old room) where the new girl and her sister were. I was wearing a new dress, which obviously was too big for me, and I was trying to make it work. Suddenly the taller one spilled the cards. They got everywhere. I could have helped pick them up, but I was still too mad. 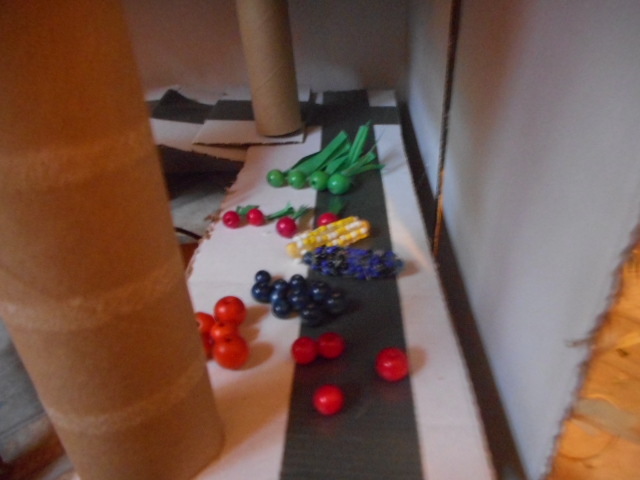 But when I spilled rubber bands everywhere. The new girl helped me scoop them up into the container. Even though I wouldn’t help her. I went to get something out of the room I was going to share with my little sister. Suddenly I saw Lea in the room. The lights were turned out, and she was crying. I wanted to help her, but I knew she would only snap at me if I asked what was wrong. “Are you saying my hair looks bad?” She snapped. So much for not having her snap at me. I flipped the lights on and started on her hair. The new girl wanted to do my hair, and I agreed. She said it looked good, but I knew she was just being nice. I didn’t know why she was being so nice to me after she’d been so mean, but I wasn’t going to complain. Suddenly the younger one skipped into the room. My anger started to melt away. Maybe the girls weren’t so bad. Maybe we could even be friends? Lame name, yes I know. I didn’t come up with anything better. I really should have. Anyway on to the story! This is the story in which new things will be announced by the way. “Come on! It’s just over here!” Lea yelled. 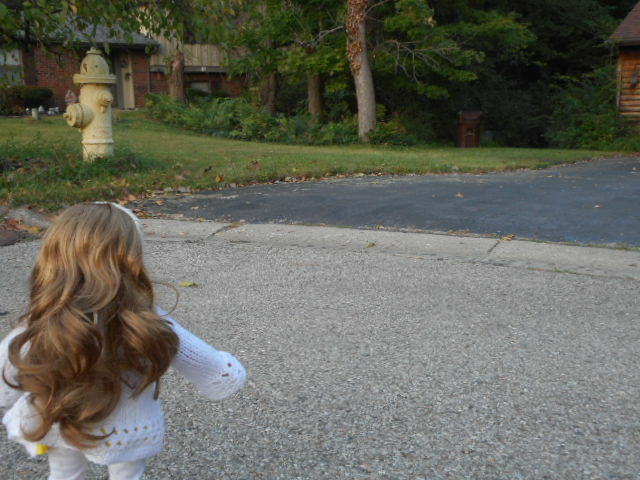 Lea was trying to take me to a ‘secret spot’. From what I could see it wasn’t all that secret, but since I’d come Lea was my only friend, and I wanted to make her as happy as she made me. “Do you promise to be best friends forever?” Lea asked me excitedly. “Yes I do.” I wasn’t as much of a chatterbox as Lea, but she never minded. “I brought something for you.” I announced shyly. Lea interrupted me. “How could you Isabel? I thought you promised to be best friends forever!” She stared at me for a minute and then ran off. I walked up to where Faith was. “I was going to say that I’m happy to be going home, but I’ll miss you all very much. 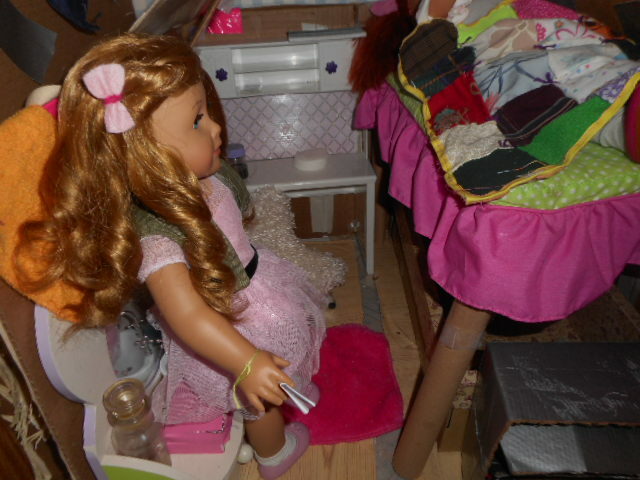 When I was getting ready to do this part I realized that all the dolls were in new clothes, and I didn’t have to change their clothes. YESSSSSSSSSSSS! I don’t know how they do it. Really I don’t. At that moment ‘it’ was have a sleepover, stay up till two in the morning, and then go to classes. 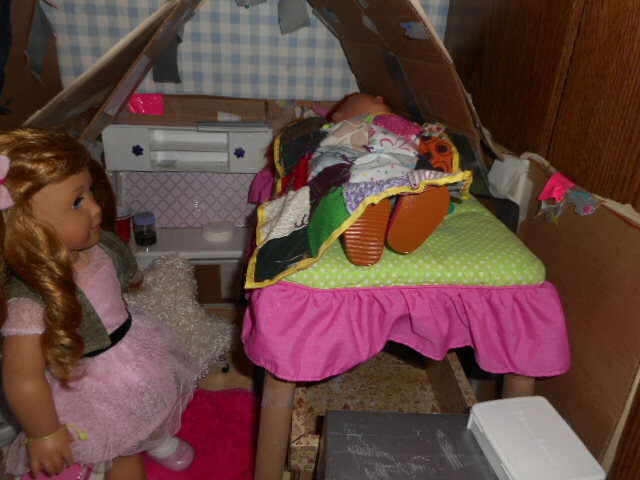 The rest of the girls at Roberta’s sleepover had slept in her room, but since mine was right next door I went to my own. And when I woke up I was exhausted. I knew I couldn’t do classes that day. I just couldn’t. 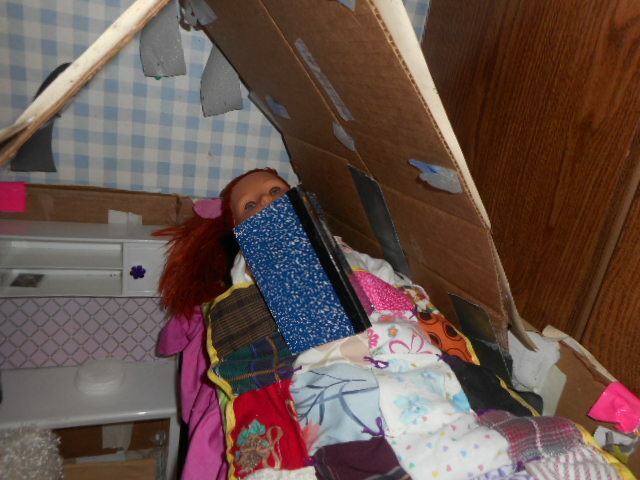 I saw that there was a notebook right next to my bed. So I grabbed the book and scribbled something. Sick today can’t come to classes -Joy “Can you deliver this to the secretary?” I asked Savana. She grabbed the note and read it. Then she was gone. And pretty soon Ellen arrived. And that’s when I lost it. “What do you think! Would I not be going to classes if I was okay?” Ellen plopped in the chair. Welcome To The Indian House! For school I had to do a project on Indians. 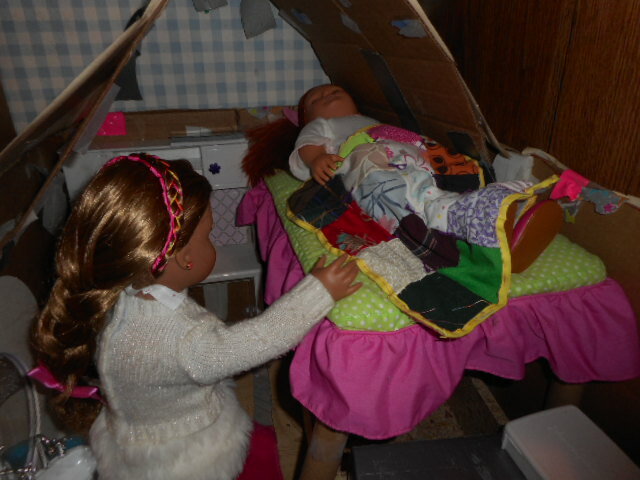 I decided to make my dolls an Indian house, so here it is. 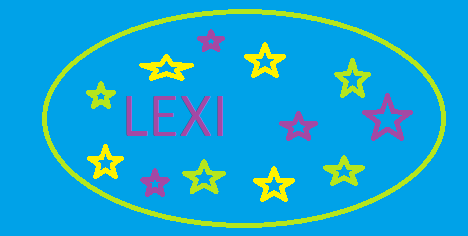 I put a lot of work into this. 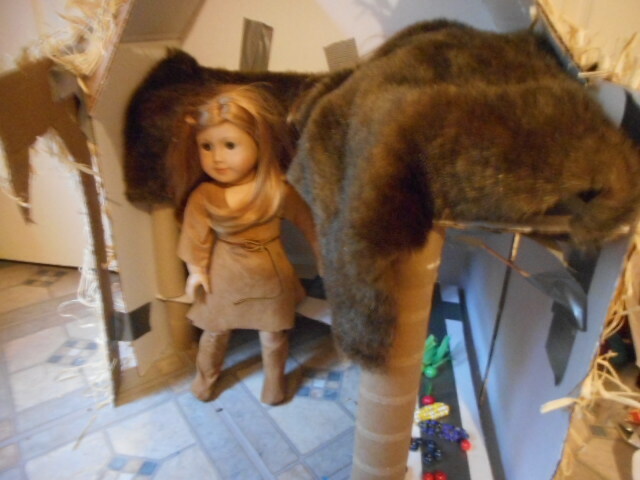 I make the house out of cardboard and covered it with twine stuff. On this side there is a door cut out. 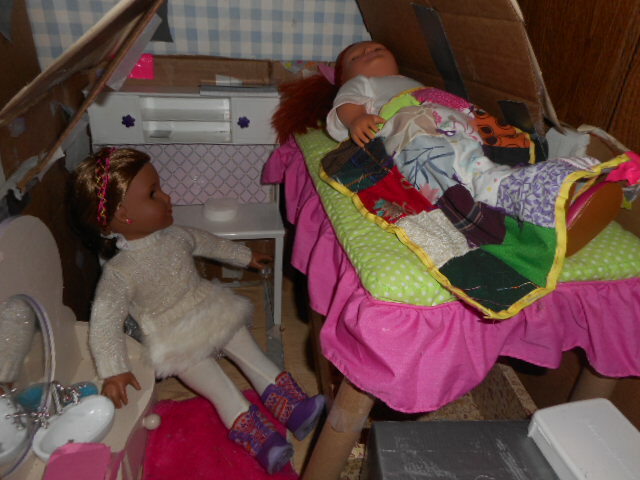 The beds are stacked, and on the top there is blankets. The bottom layer they use for benches and tables during the day. Here’s my collection of food. And Mia’s outfit. There are a few more things I forgot to add, but mainly it’s finished. This week’s theme for AGDollAwsome’s photo shoot challenge is Citrus. Here are the pictures I took. In case you don’t get how this is citrus, I will tell you. I was googling lemons, since lemons are citrus. It came up with Honey Lemon, one of the characters in Big Hero Six. 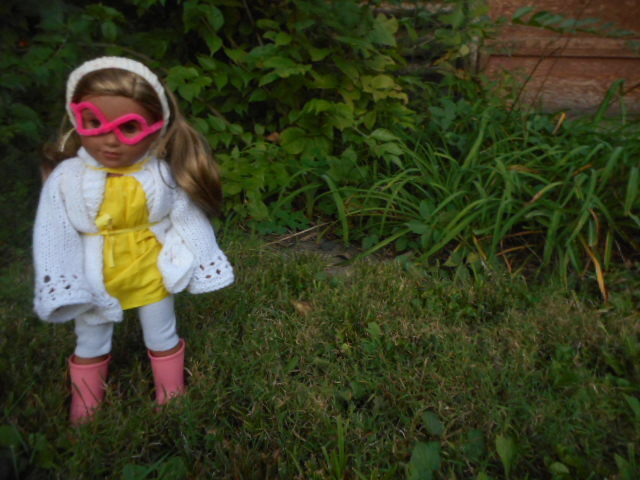 I decided to dress Lea up as Honey Lemon, since Lemons are citrus. When I went to the AG store in Chicago one of the purchase with purchases was the warm winter outfit. After lots of deciding I got this one. It was half off, $15 if you bought more than 60$ worth of their stuff. It comes with three pieces, boots, a sweater and leggings. Let’s start with the sweater. It is a thin knit. It seems well made, though mine has a tiny hole in the arm. 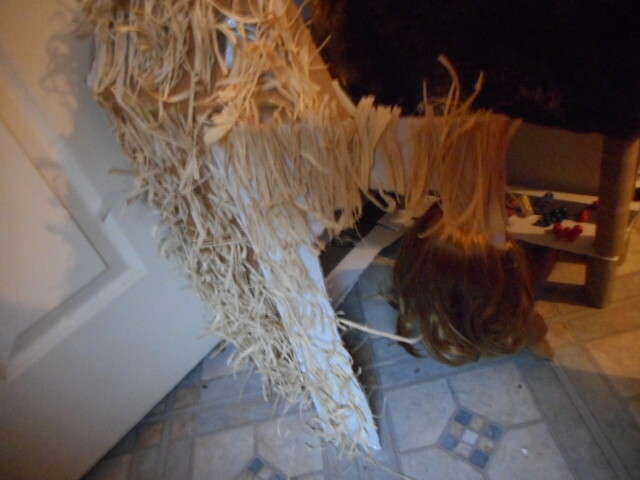 There is a strange swoopy thing, like a piece cut out. I don’t really like this. The back is fully straight, with velcro to open and close. 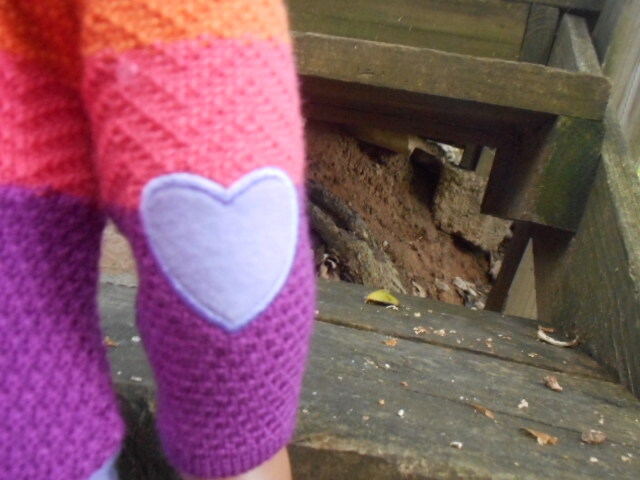 Then there is a heart patch on the elbow. It matches the leggings, but not really the sweater. The leggings are a pale purple, a little bit of a deeper shade than the pictures show. In our house we aren’t allowed to wear leggings that thin without a skirt or long shirt covering it up. What surprised me was that the leggings went all the way down to her feet, even though there are boots. The boots are well made, with lots of detail. The strings are elastic, which make the boots really hard to get on. 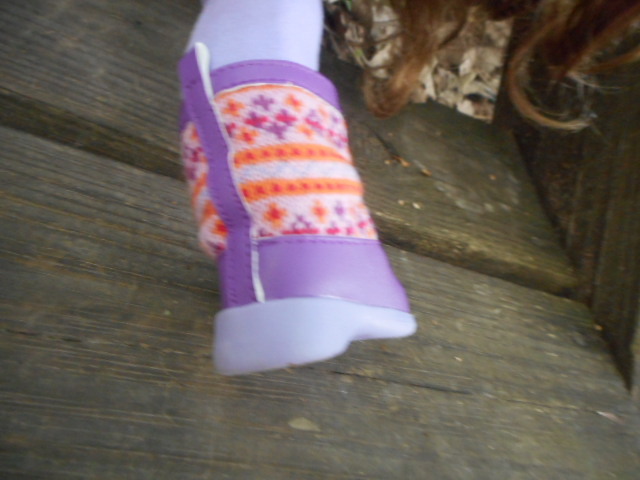 The inside of the boots are lined. 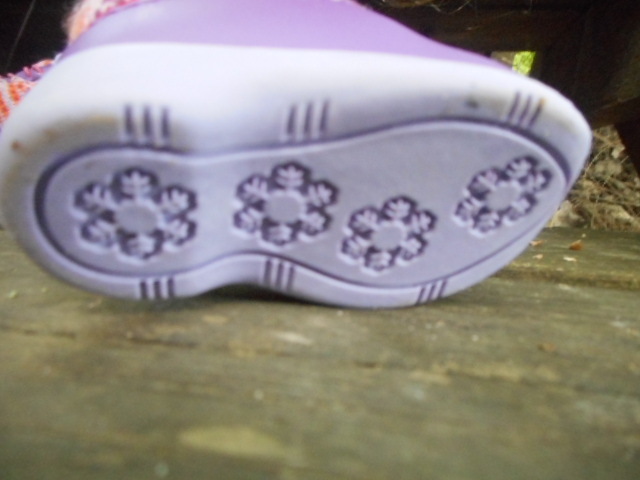 The soles of the boots have a snowflake design. It looks like they would really imprint snow. 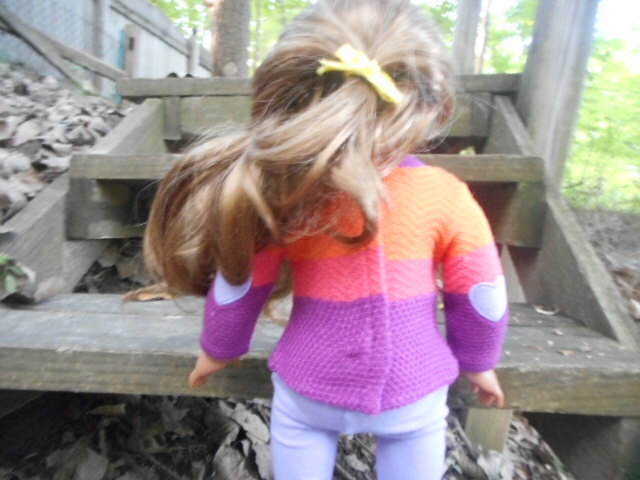 The main park of the boot has snowy knit cloth, with the colors of the rest of the outfit. Overall I like this outfit. I wouldn’t be willing to pay $30 for it, but it was only $15, and I think that was worth it. I am disappointing with the hole, and I will exchange the outfit for one without a hole, if the next time we go to an AG store they still have it. 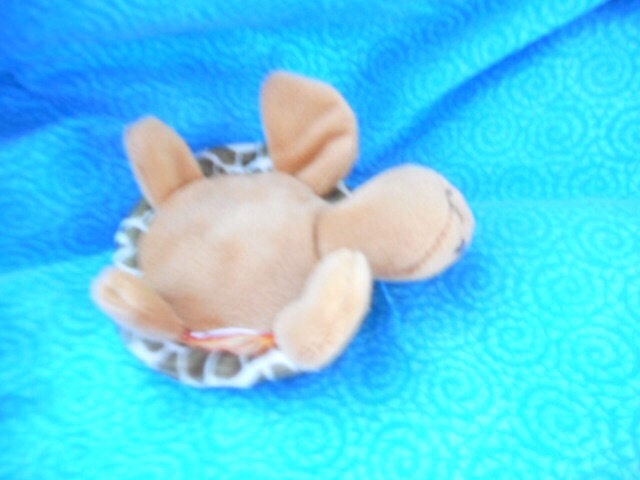 When I was at the zoo the other day, in the gift shop I found a box of little stuffed animals. It was $7 for two or $4 for 1. There was several different kinds of sea animals. 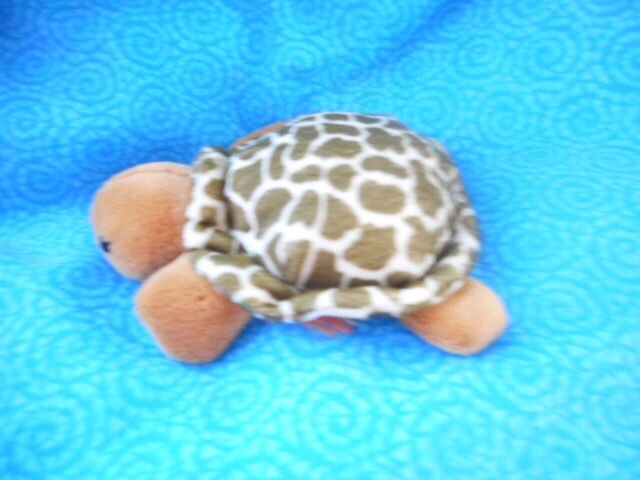 I chose the sea turtle. 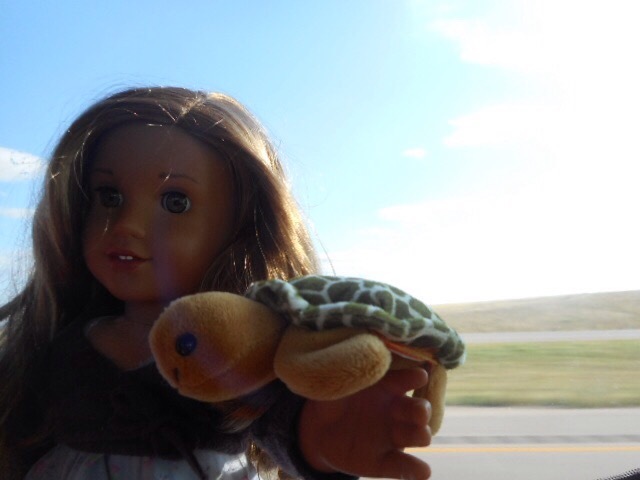 The sea turtle fits perfectly in Lea’s hand. It is just the right size for her. 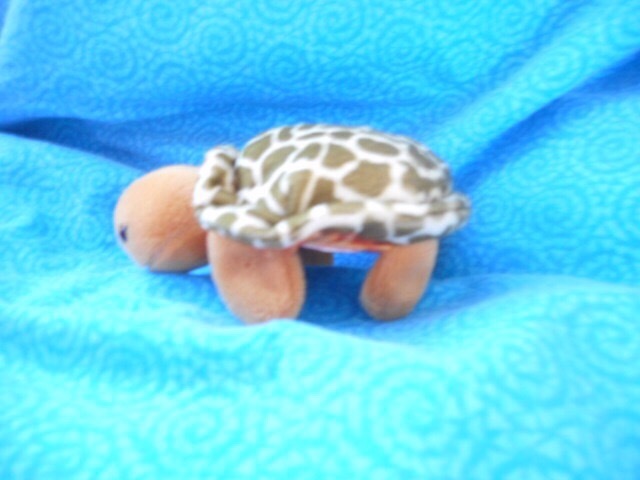 This is the top of the turtle. It’s white with irregular green blotches. The shell is stuffed with little balls. 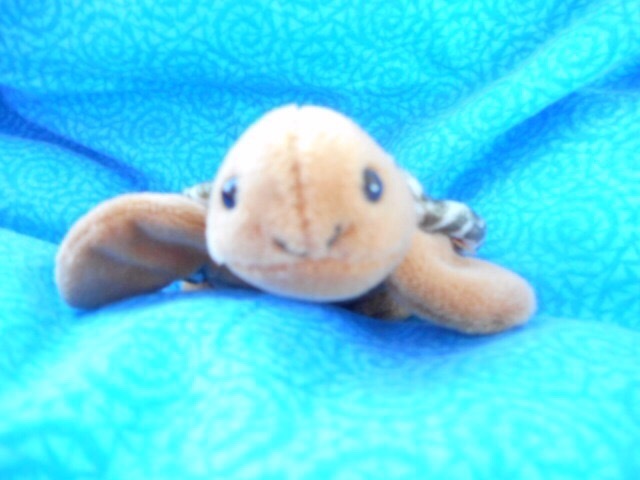 He has and embroidered on face, that is totally unrealistic but cute. He can kind of stand up on his legs like a land turtle. His belly is just tan.